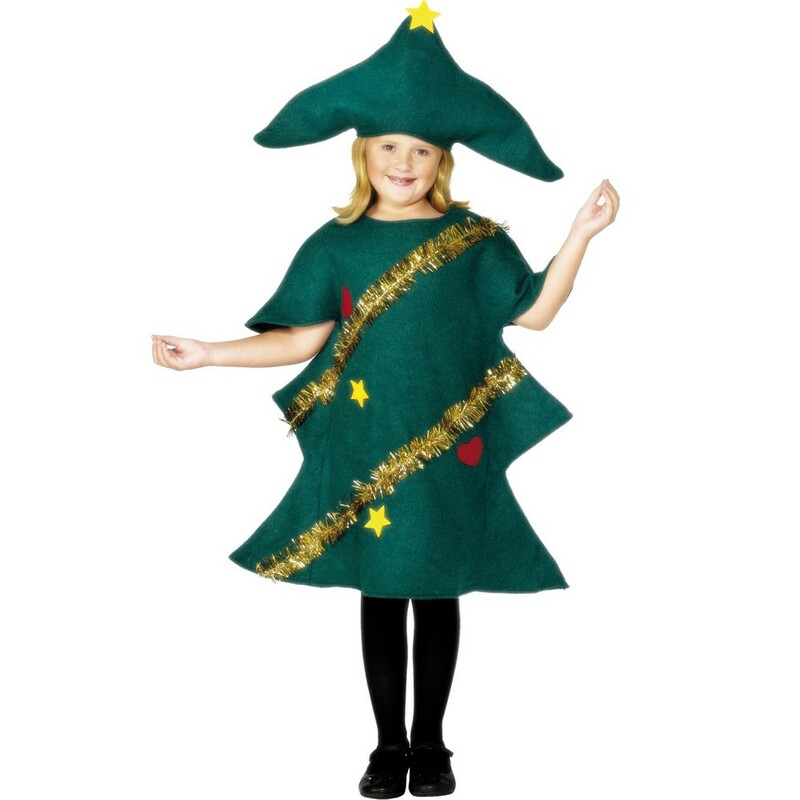 A Childs Christmas Tree Costume including a Bodysuit and Hat – Ideal for Christmas, a School event, or any festive fancy dress occasion! Deck the Halls at this festive time of year with this brilliant Childs Christmas Tree Costume. 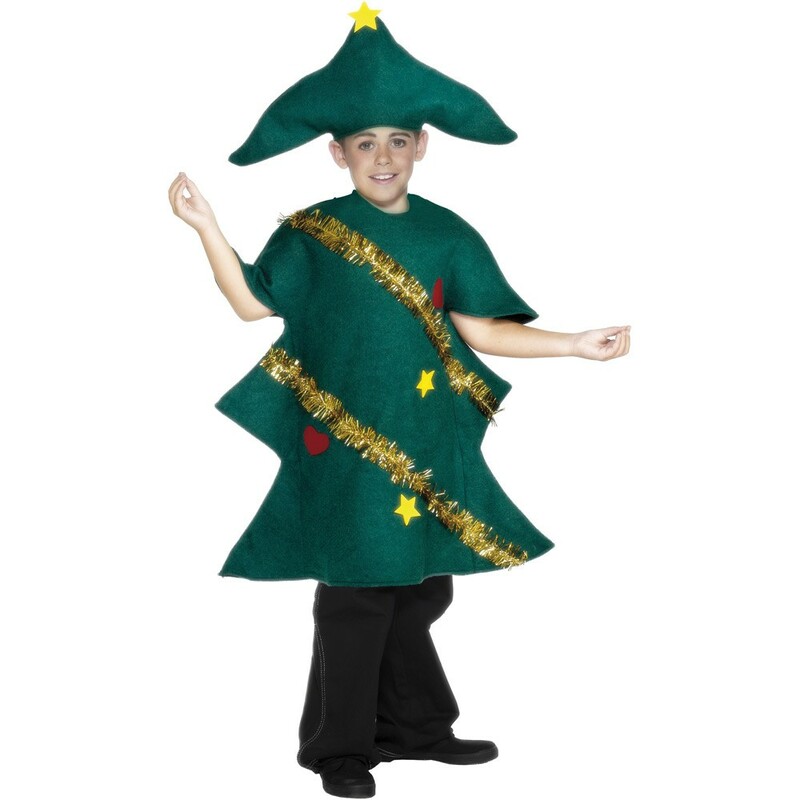 This stunning Childs Christmas Tree Costume comes complete including a Bodysuit and Hat. This dark green felt Bodysuit features short sleeves, a Christmas Tree shape, and attached gold tinsel, Stars, and Bauble details. Complete this fabulous Childs Christmas Tree Costume with the matching Christmas Tree Hat with yellow Star on the top for a festive fancy dress look. Perfect for any Christmas Party, a School event, or any festive fancy dress occasion, this impressive Childs Christmas Tree Costume will be sure to impress! So let the festivities begin with this fantastic Childs Christmas Tree Costume. A Childs Christmas Tree Costume.